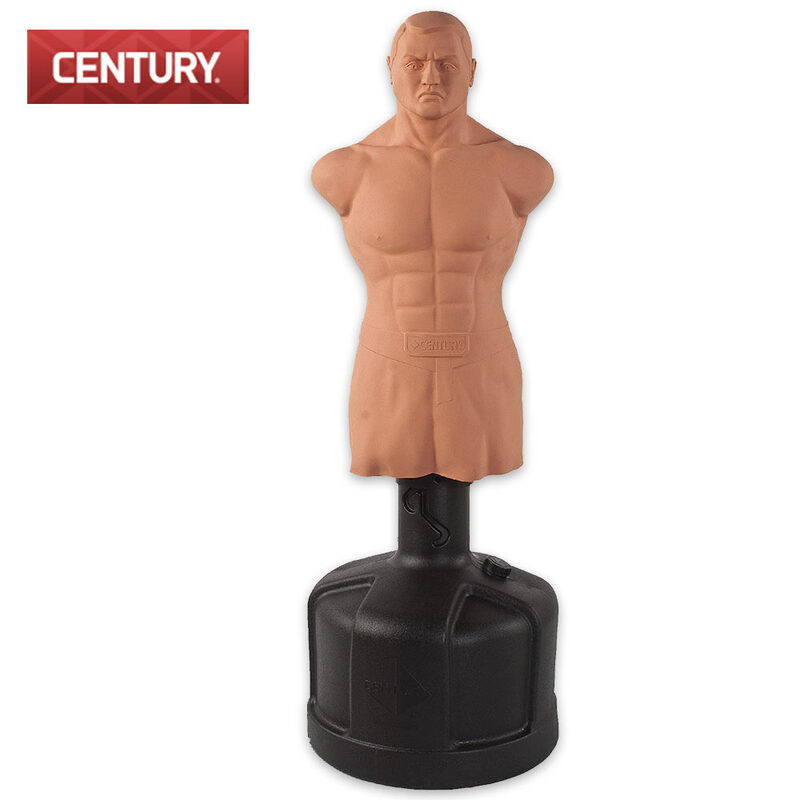 Century Bob XL Sparring Partner | BUDK.com - Knives & Swords At The Lowest Prices! Get realistic training with BOB, the Body Opponent Bag. BOB XL has a longer torso than the original BOB, giving you more striking surface for body shots and kicks. The base fills with water or sand and is rounded for easy relocation. It features height adjustments from 60” to 82” tall and is approximately 270 lbs. when base is filled with water. The manikin is 40” x 15 1/2” x 10 1/2” and the base is 24” x 19 1/2”. Also look for the original BOB on our website.